Behind the walls of OSF HealthCare Children’s Hospital of Illinois, kids and families are battling. There is fear, uncertainty and pain, but also laughter, joy and miracles. Each one of our patients, nurses, family members, doctors and loved ones have a story to tell. Stories that truly define what it means to fight the war against illness and pediatric cancer. From tiny warriors, to teens fighting for their lives, to a therapy dog that spends his days making patients feel better. During our annual 12 Days of Giving, you’ll see the stories of these champions who fight for a happy ending day in and day out. From November 26 to December 7, follow the OSF HealthCare Children’s Hospital of Illinois Facebook page as we share with you real-life stories of our patients, their loved ones, and our compassionate staff. As part of 12 Days of Giving, we will also continue our annual Toy Drive and Radiothon hosted by John Riley on 93.3 The Drive. Toy Drive: Dec. 1st from 10am-2pm, join us in the lobby of OSF Children’s Hospital. We’ll be collecting toys for our patients to enjoy during the holidays and throughout the year. Find our wish list here: http://www.osf12days.org/drop-off/. Radiothon: Dec. 6th and 7th from 6am-5pm each day, join us in the lobby of OSF Children’s Hospital to visit or help take calls. 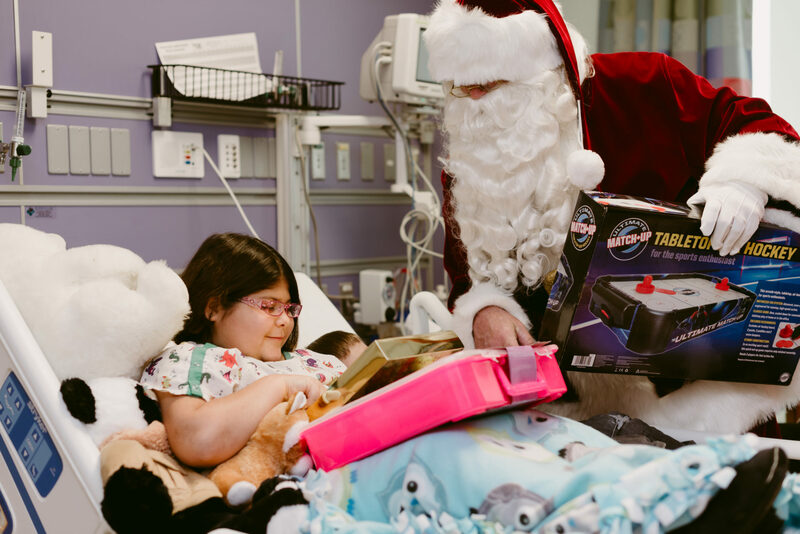 As a nonprofit hospital, we encourage you to follow along and donate this holiday season to make sure every single child has the greatest care and love when they need it most.